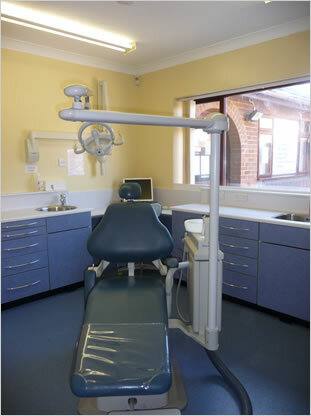 This covers an examination, diagnosis (including X-rays if required), a scale and polish if clinically needed. This covers everything listed in Bands 1 and 2 above, plus crowns, dentures, and other laboratory work. Implants are one way of replacing missing teeth. In many situations, dental implants are the most pleasing aesthetic solution for replacing missing teeth. A titanium post is placed in the jaw bone to support a replacement tooth. This acts like the root of a natural tooth. Implants can be used to support crowns, fixed bridges or dentures. One implant can support one or more false teeth. Five or six implants are usually used to replace all the teeth in the jaw. Implant treatment normally has two stages. First, the implant is carefully placed into the jaw bone. Then, when the jaw has healed, replacement teeth are attached to the implant. In some situations it is possible for temporary teeth to be attached to an implant at the time of fitting. First, you should decide whether implants could be the right option for you. 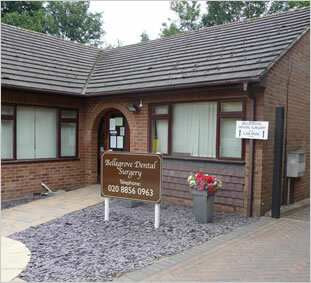 Contact us to arrange an implant consultation and discussion and we will let you know the possibilities. Our highly experienced team will be only too happy to help you with any questions you may have. The gum heals over the implant and under the gum the bone then grows around the implant to hold it firm. This can take several months. Implants usually have two sections - the titanium post in the jaw and an extension or abutment that is added later when the post is secure. Attaching the abutment usually entails a small cut in the gum above the implant and then the abutment is screwed into the implant. Crowns or bridgework can then be attached to the abutment. You might have more than one implant. The replacement teeth might be fixed permanently (like a crown or bridge) or attached in a way which lets you remove them for cleaning (like a denture). Teeth whitening is a highly effective way of lightening the natural colour of your teeth without removing any of the tooth surface. Professional bleaching is the most common form of tooth whitening. Our dentists can make you custom made shields to fit your gums. The bleaching material is placed in these shields which are placed in your mouth at night.The bleach penetrates the enamel on your teeth eventually whitening your teeth. Please contact us at the surgery for more information or to book a private consultation . Our staff will be happy to help you. In the event of an emergency please contact the surgery as soon as possible by phone. Our phone lines are answered from 8.30am. We will make every effort to offer to see you within 24 hours. Outside of surgery hours please call the out of hours service on 111. Regular check ups by your dentist are very important to keep your mouth healthy. Regular maintenance can help avoid tooth loss caused by tooth decay or gum disease. Prevention is always better than cure. We stock a wide range of oral hygiene products which are available to purchase in our reception area. 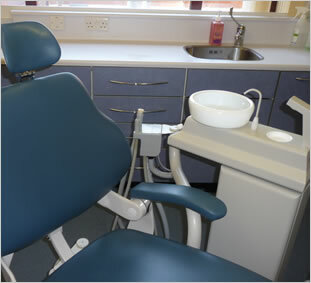 We are happy to give you advice on all aspects of oral hygiene. Brushing your teeth regularly and changing your toothbrush when the bristles start to bend over are very important aspects in helping to maintain a healthy mouth. Te-pe brushes and dental floss are also very helpful. 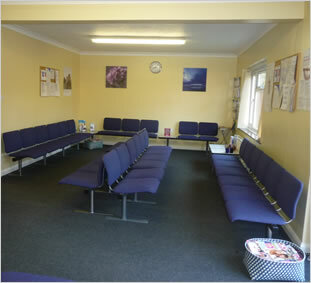 We stock a wide range of products in our reception area. Our receptionists will be happy to assist you in any way. We are able to order in specific products you may wish to purchase which are not readily stocked. Orders take 24-48 hrs to come in. A deposit is required on all special orders. Feel free to contact us if you have any questions about what is listed above. Our dedicated team will be happy to help you.